The Warrior Pep Band is a trademark of Waubonsie Valley’s tradition of spirit and pride. 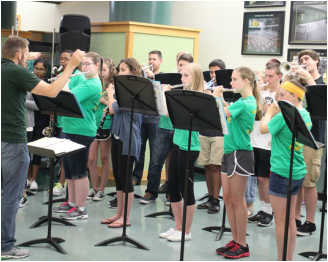 To continue fostering the enthusiasm of our community, the Warrior Pep Band is frequently asked to perform at Waubonsie Valley special events, assemblies and home basketball games. We are very proud of the Warrior Pep Band’s place in our community, and its long standing tradition of excellence in music and spirit.